The 'outstanding' nursery on a farm! High Bank is an Ofsted outstanding children’s nursery based on a farm in the village of Stapleton, on the outskirts of Darlington. We were rated as outstanding by Ofsted in September 2016 and by Day Nurseries in May 2018 as one of the Top 20 children’s nurseries in the North of England, and we strive continuously for further improvement. We provide exceptional nursery care for children aged 0-4. Extra curriculum activities provided at no extra charge, including gardening club, football, French, tennis, athletics and much more. The nursery is perfectly situated just minutes away from the A1, A19 and A66. 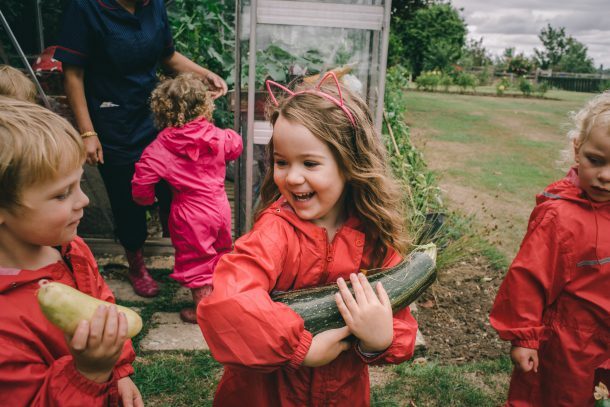 If you would like to visit High Bank to see the nursery for yourself, please do not hesitate to get in touch with us on 01325 365885 or email us. "The perfect nursery based on a working farm – Jane Park, parent."